The first collection from Annexe is a set of stories exploring redundant technologies and aging media. From remembrances of carbon paper to far future explorers grasping at memories left behind. 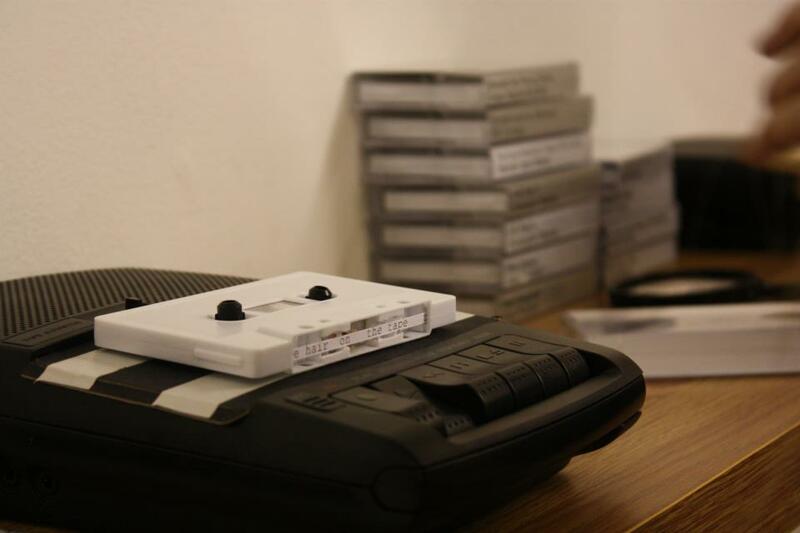 To reflect the nature of the writing, the collection is presented as a series of cassette tapes. Each story, on a reel of paper, replaced the ribbon inside a cassette and could be read by placing it on the specially altered cassette recorders and pressing play. First displayed in the exhibition Sites of Alternative Publishing, the collection was available for public viewing for three weeks and is currently inaccessible. It will go on display again later this year as part of Annexe’s spoken word festival in November.